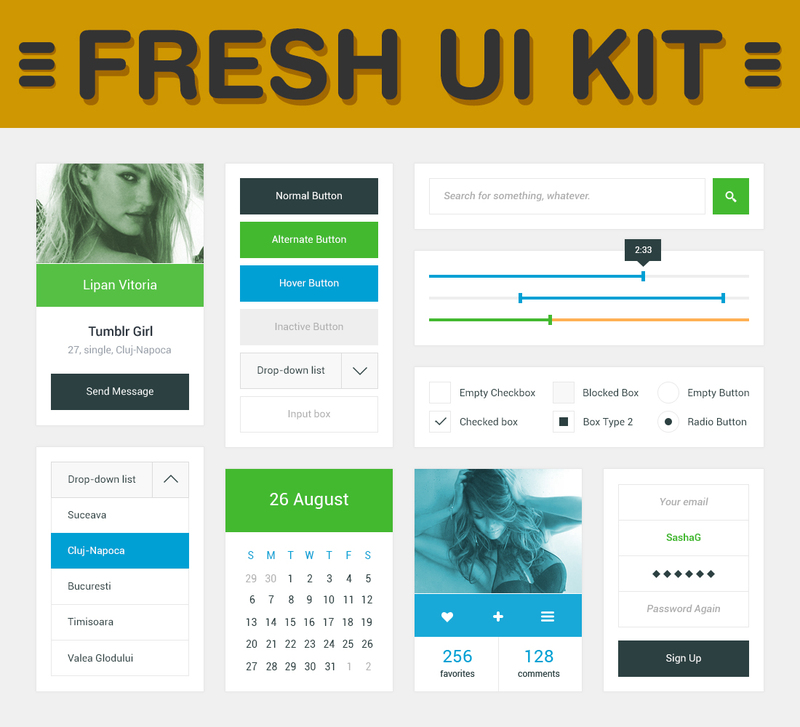 Check Out Free Amazing Fresh UI Kit PSD for your projects or just for inspiration. Free PSD created by Designhill. Previous Previous post: How to Achieve Perfect Google Font Pairing For Great Looking Typography? Next Next post: How to Get Your Perfectly Designed Logo ?